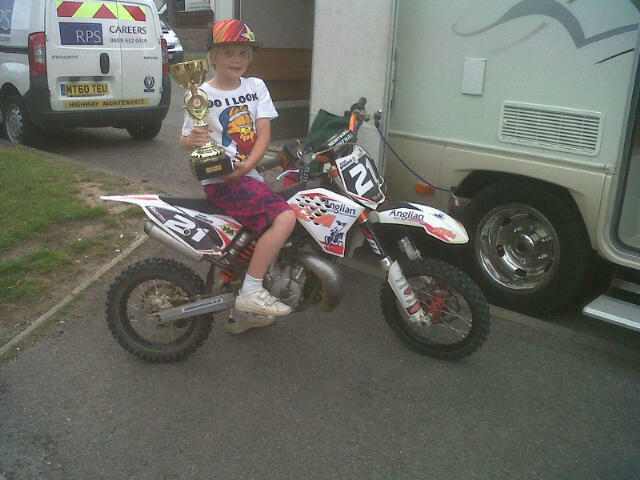 Home - Motorcross Dan Scoops 2nd Place! Motorcross Dan Scoops 2nd Place! 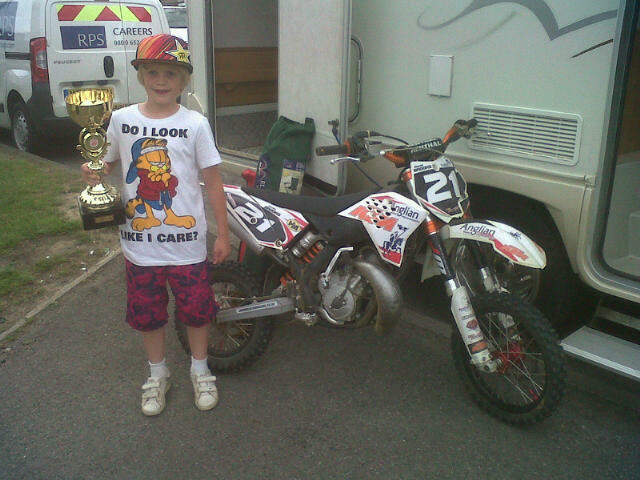 We hear the latest from young Daniel Brooks Dad, Matt and how they got on at Staplehurst. We revisited the same venue in Staplehurst that we went to for the National qualifiers for a trophy meeting. If only this had been the national qualifier! All of a sudden it seems to be falling in place for Dan as he is getting more and more used to his new bike. I think Dan’s wrist from earlier in the year has now fully healed and his confidence is growing every time we go and ride. On a typical warm summer day that through up a couple of heavy, refreshing showers, which all helped to keep the dust down, Dan had three great races and rode the wheels of his bike to claim his first rostrum position of the year with a fantastic second place overall. As you can see from the photo his face says it all. A friend reckons the cat on Dan’s T-shirt resembles me? Anyway let’s hope we can build from this result as we start to plan a big year next year and get ready for some supercross through the winter months..